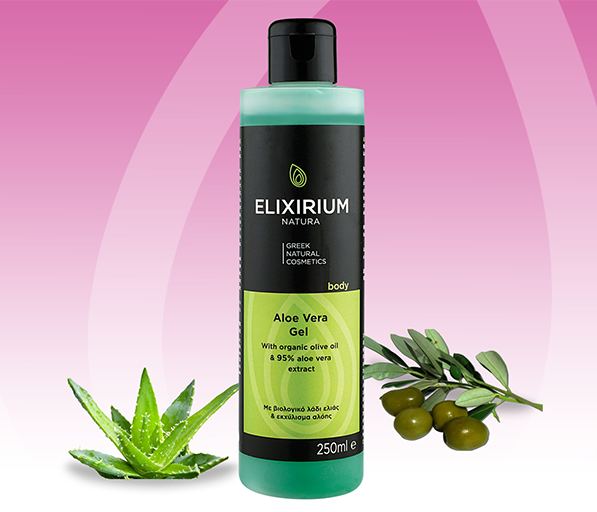 ELIXIRIUM NATURA - ΑLOE VERA GEL. HomeElixirium NaturaBODYELIXIRIUM NATURA - ΑLOE VERA GEL. 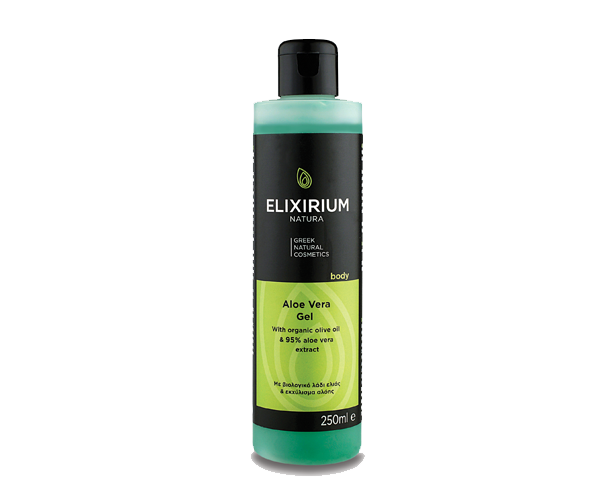 Body Gel with 95% aloe extract, organic olive oil and vitamin E that relieves, nourishes, moisturises and softens skin helping the restoration of dry and damaged skin. 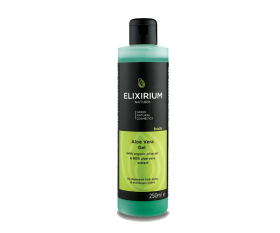 Ideal for sunburns, after shaving as well as dry, chapped and irritated skin. Use: Apply to entire body as often as needed. Συστατικά/Ingredients: AQUA, GLYCERETH-26, TRIDECETH-9, PEG-40 HYDROGENATED CASTOR OIL, OLIVE OIL PEG-7 ESTERS, TRIETHANOLAMINE, ACRYLATES/C10-30 ALKYL ACRYLATE CROSSPOLYMER, PHENOXYETHANOL, PPG-26-BUTETH-26, ALOE BARBADENSIS LEAF JUICE, PARFUM, BENZYL ALCOHOL, METHYL LACTATE, CUCUMIS SATIVUS FRUIT EXTRACT, GLYCERIN, BENZOIC ACID, OLEA EUROPAEA FRUIT OIL, TOCOPHERYL ACETATE, ALLANTOIN, DEHYDROACETIC ACID, SODIUM SULFATE, AMYL CINNAMAL, HYDROXYCITRONELLAL, BENZYL SALICYLATE, BUTYLPHENYL METHYLPROPIONAL, LINALOOL, CI 19140, CI 42090, CI 42051.